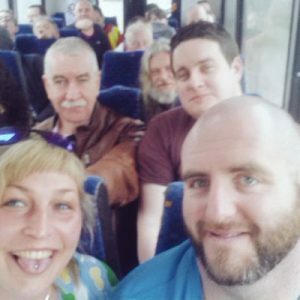 Sligo Independent Socialist Councillor Declan Bree and members of Sligo anti-water charges group who took part in today’s demonstration in Dublin. Upwards of 20,000 it’s estimated took to the streets of the capital to vent their opposition to the detested charges. Organisers reckon the figure would have been many times today’s turnout if regular bus services had been running. Despite the absence of regular transport, however, vast numbers still managed to travel from towns and rural areas to take part in the march. If Ministers had been hoping that opposition to the levies had eased since previous demonstrations, today’s protest has conclusively shown that anger and resentment over the charges and metering is as powerful and widespread as ever. The frequently invoked threat of EU sanctions and Ministerial warnings of massive fines if the people of Ireland refuse to submit to the tyranny of charges clearly isn’t frightening the country. Indeed, if there is fear anywhere it has to be in Government circles where Ministers must now know that their days as an Administration is rapidly rolling to an end. There is no love lost between them and a sizeable part of the electorate. 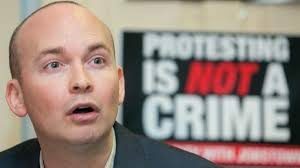 Speakers at today’s march included TDs Paul Murphy and Joan Collins, and representatives from the National Bus and Rail Union (NBRU), currently involved in strike action with Bus Éireann. 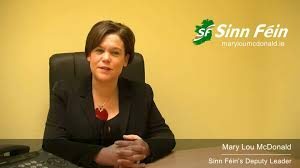 Sinn Fein Deputy Leader Mary Lou McDonald said, “Water charges were agreed by Fianna Fáil and imposed by Fine Gael. They thought citizens would roll over. They were wrong. 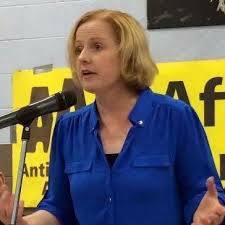 Solidarity TD Ruth Coppinger said that the point of the demonstration was to get the message to Fine Gael and Fianna Fáil that people did not want water charges. It’s the first victory of a mass movement in Ireland for a generation, she said. Campaigners are also demanding a referendum to ensure that water services will never be privatised.